ISLA VISTA, Calif. - A popular spring break celebration near the University of California, Santa Barbara campus turned violent Saturday, prompting officers to release tear gas into crowds. Santa Barbara police said in a department statement early Sunday that more than 100 people were arrested throughout the course of the day and evening, reports CBS Los Angeles. Approximately 18 people were arrested during the actual disturbance, police said. 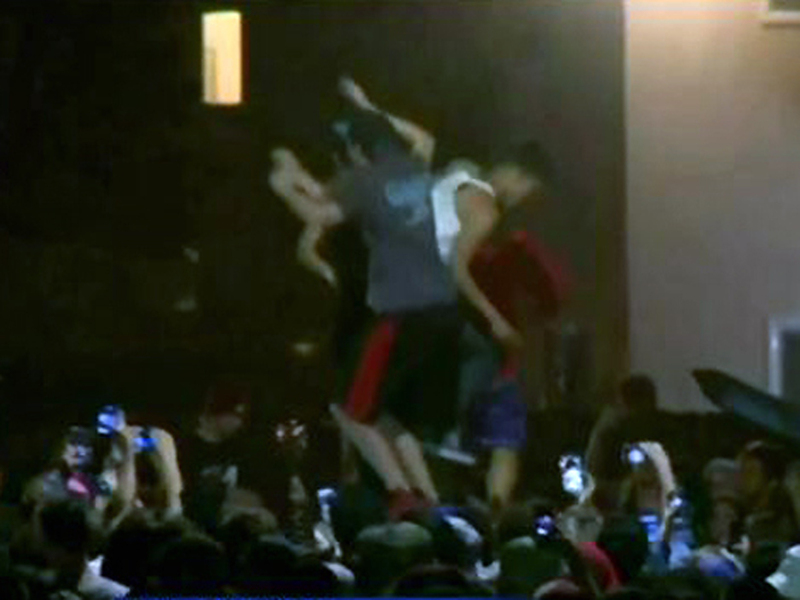 The incident unfolded about 9:30 p.m. at the event, known as Deltopia, which drew about 15,000 revelers. It took several hours for law enforcement officers to disperse the crowd of both high school and college students. Some vandalized street signs, set small fires, and damaged property, including law enforcement vehicles, police said. A total of six law enforcement officers were injured. Among the injured was a UC Santa Barbara officer, who was struck in the head with a backpack that contained large bottles of alcohol. In addition, a sheriff's deputy was hit in the face with a brick. Police said at least 44 people were hospitalized. During the disturbance, "chemical agents and less lethal foam projectiles were deployed to disperse the crowds," the statement said. It's not yet clear what prompted the disturbance.